diagonally and also be used in applications involving curved facades and other complex shapes. lightweight property it can be moved from one location to other easily. Its non-combustible and non-flammable property makes it a safe material for use in industrial environments. These sheets can be recycled and reused and are therefore an environment-friendly option. resistant to fumes and vapors of organic compounds and chemicals. heat loss during winter, thereby keeping interiors warmer in winter, thus bringing about energy savings. 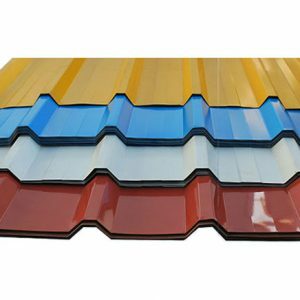 They require very little maintenance during their lifetime and is therefore a truly cost saving material.Aluminium profile sheets are supplied by reputed dealers in the UAE at competitive prices. If you are looking for good quality aluminium profile sheets, Burhani Oasis, based in Dubai, UAE offers a variety of options to choose from in varying sizes, thickness and prices. Burhani Oasis is one of the best dealer of Aluminium Profile Sheet in UAE. From GI sheets to corrugated galvanized or pre-painted galvanized aluminum profile sheets, we have it all and more to meet your specific project requirements.Contact us today to know more about how we can help you meet your requirements. Aluminium Profile Sheet are available in Dubai, Sharjah, Abu Dhabi, Ajman, Fujairah, Ras Al Khaimah, Umm Al Quwain, across UAE.